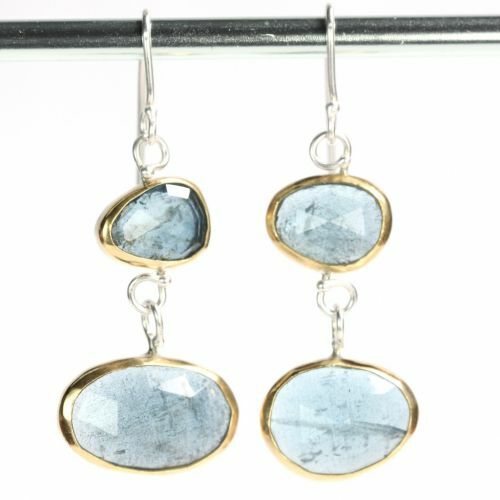 From the “Get The Blues” jewelry collection: Rare, unusual and one of a kind! 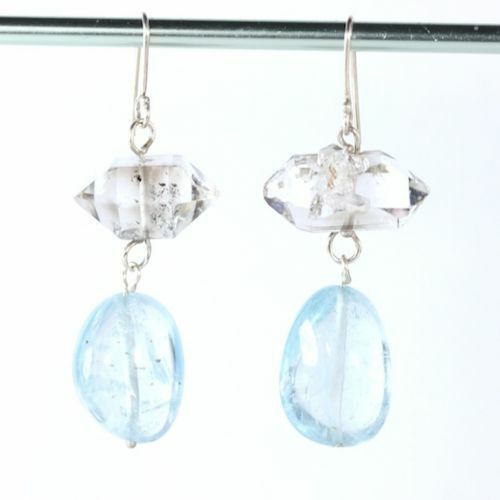 Beautifully matched cross section slices of a natural aquamarine crystal. 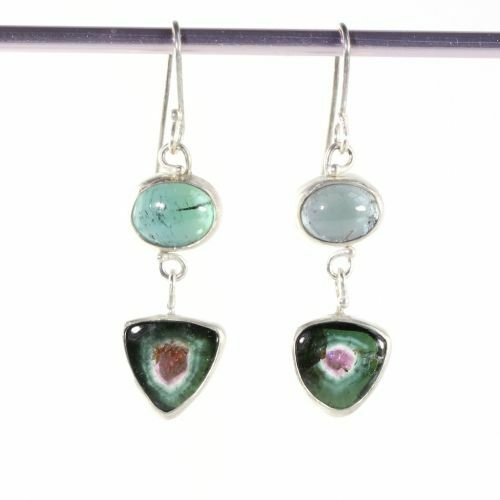 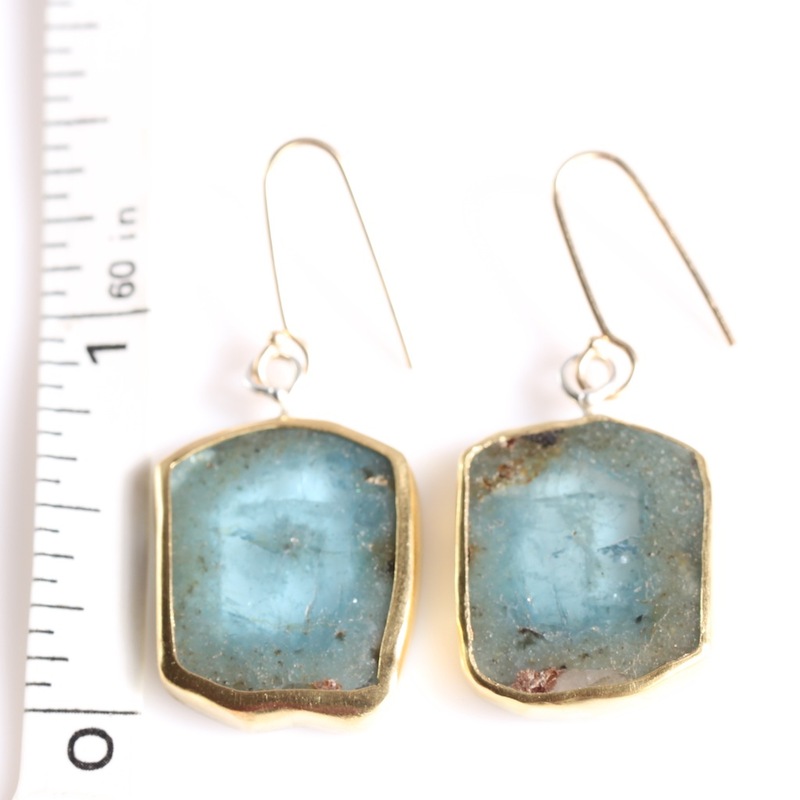 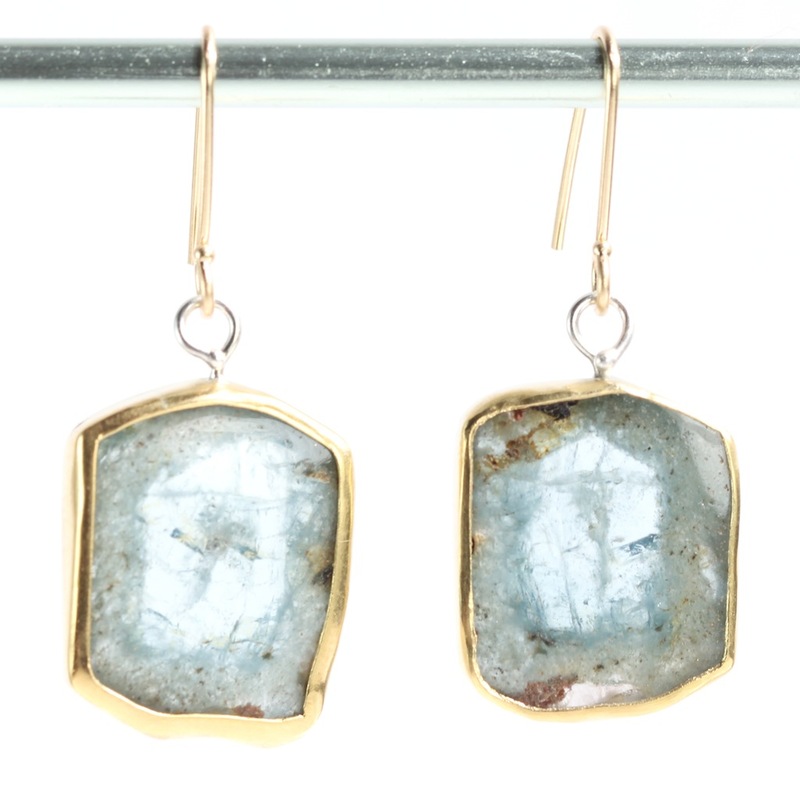 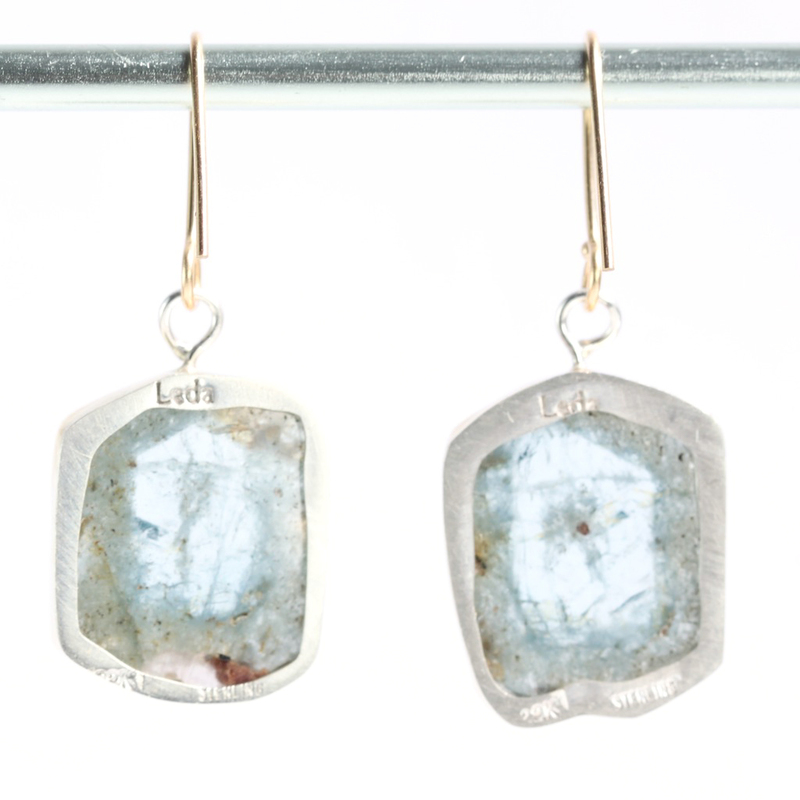 The slices exhibit the crystal formation with a paler blue interior, and natural inclusions. 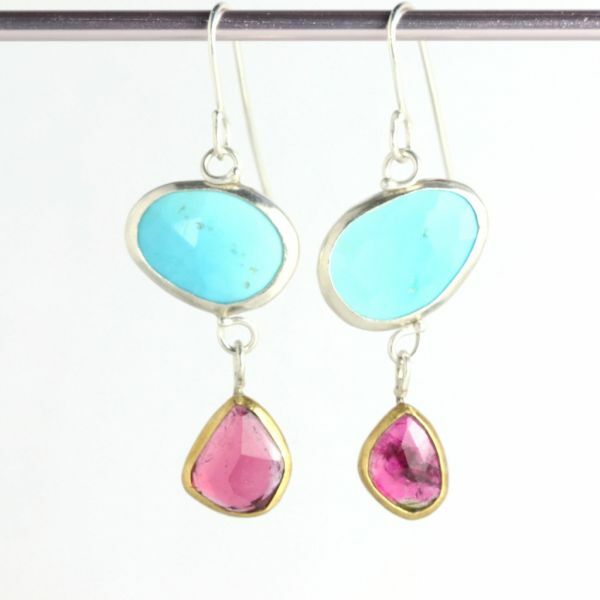 They look like ancient Roman jewels! 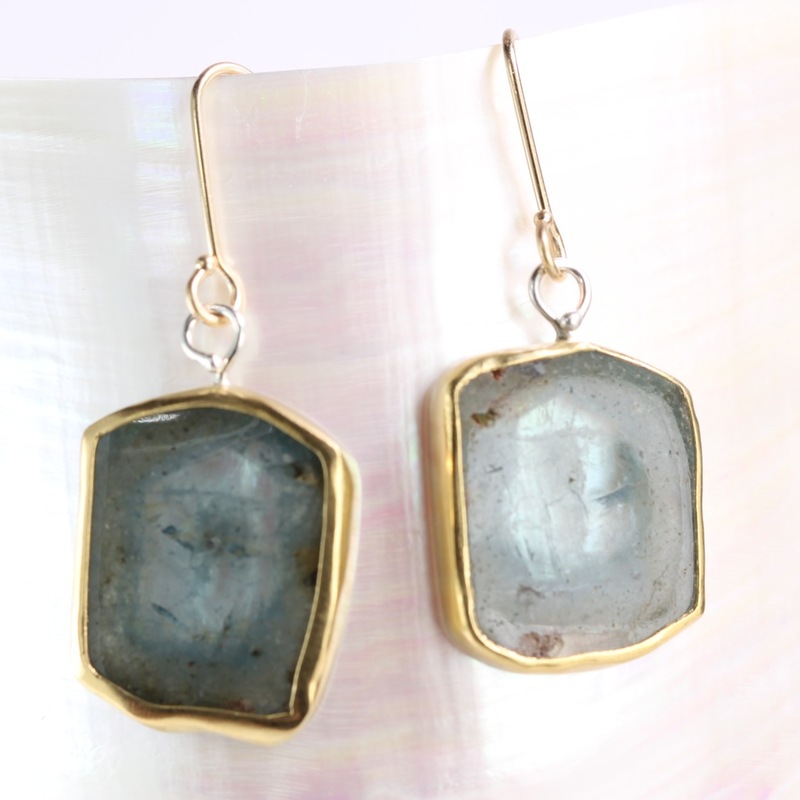 Both slices are set in 22K gold bezels, with sterling silver cut out backs (to let the light show off the crystal structure) sterling silver wirework, and handmade 18K gold earwires.